The complete mounted monitoring system is shown in Figure 12. This article is a good starting point for more sophisticated home safety scenarios. You could increase the number of sensors or swap the sensors for other models depending on your needs. Figure 12: Mounted monitoring system for kitchen hazards. 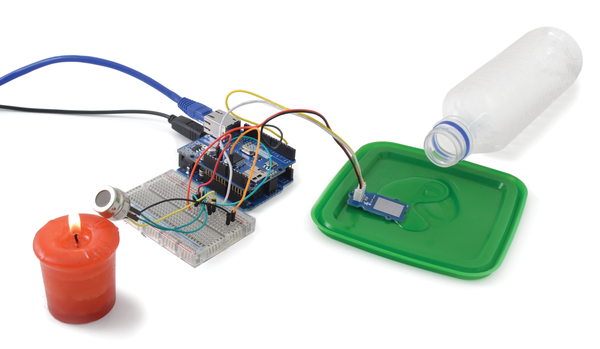 If you want to keep safe, Arduino has your back. Luis Martín is an industrial engineer who works in the R & D department at Cooking Hacks.